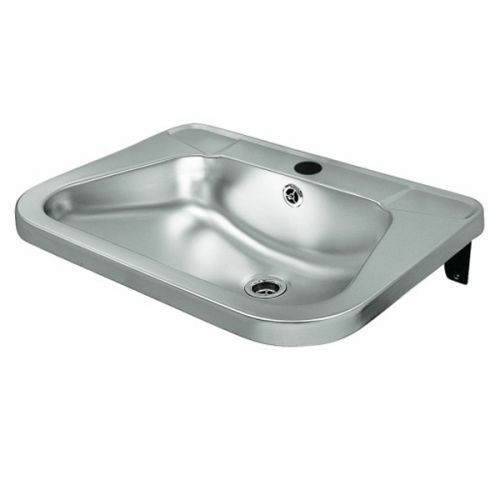 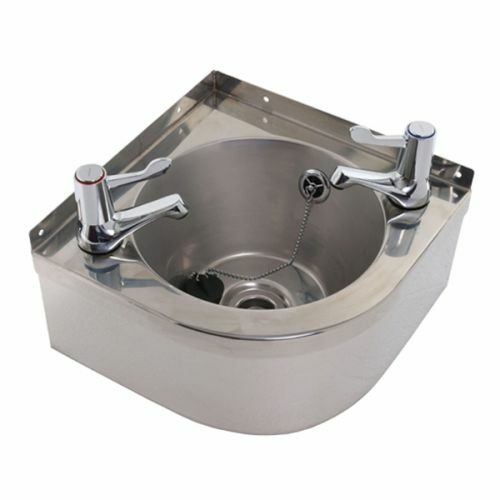 Stainless steel hand wash basins. 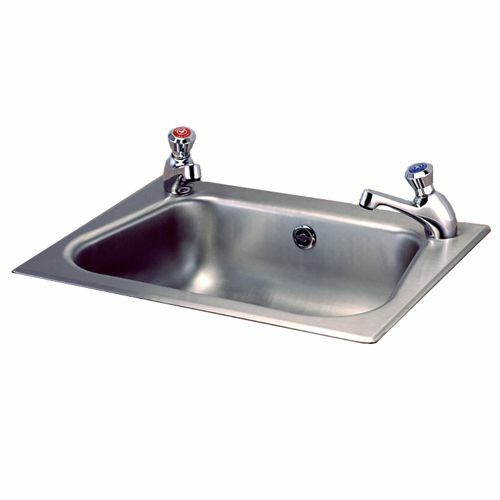 Wide range of UK stock available. 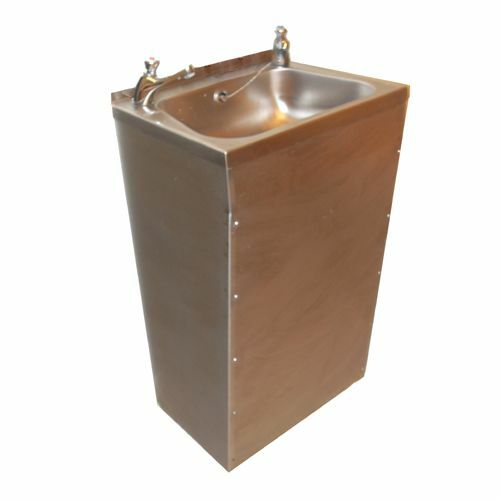 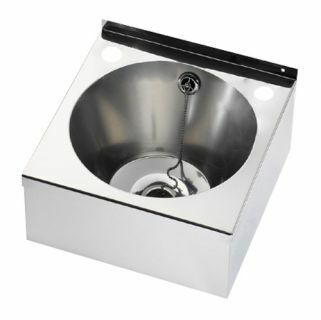 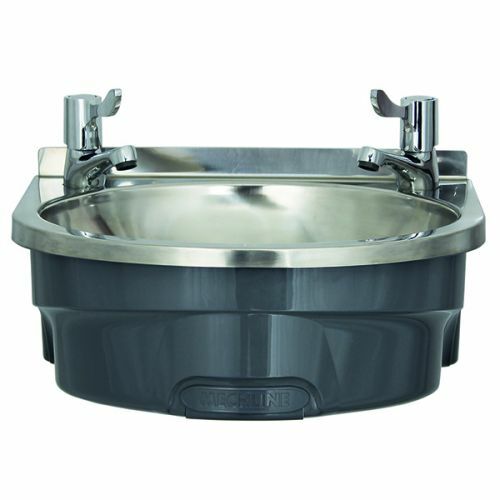 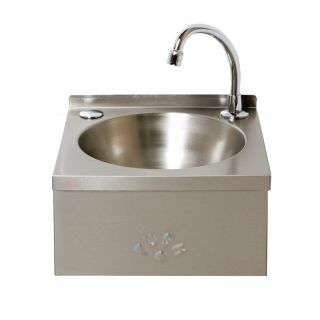 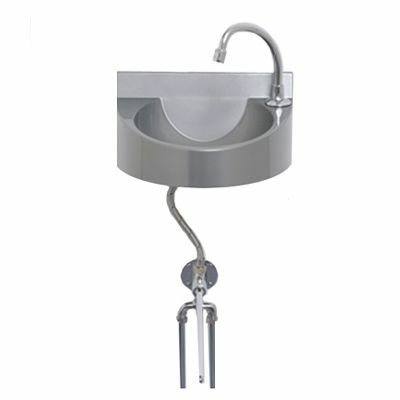 The humble hand wash basin is one of the most important fixtures of any commercial or public washroom. 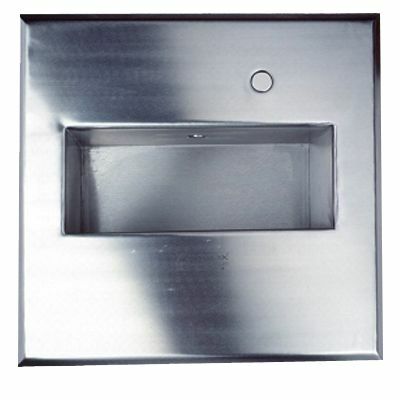 It’s a focal point for the room, and acts as a vital gatekeeper for germs and bacteria, stopping them from spreading around your premises. 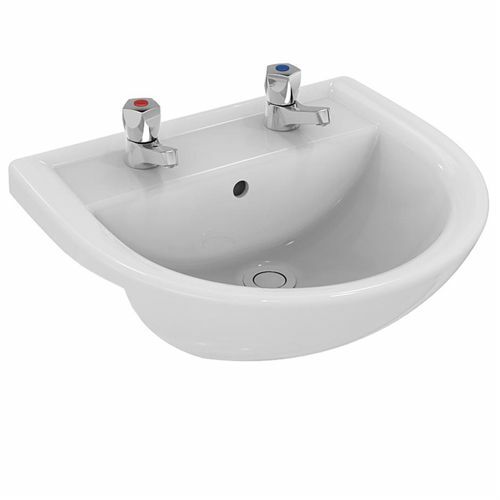 The importance of handwashing and proper hand hygiene is paramount to stop the transmission of nasty germs and infections amongst your employees, pupils and the public. 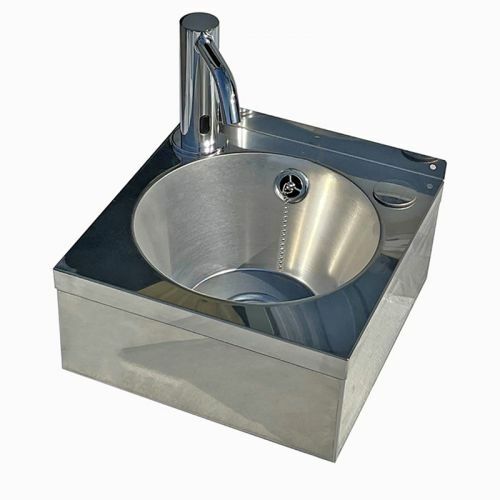 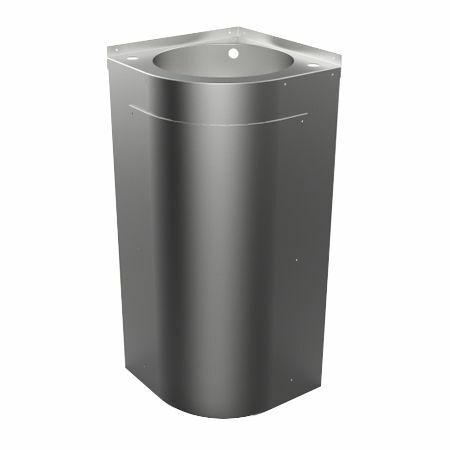 Proper hygiene is easier to promote with the right fixtures and fittings, and here at Washware Essentials, we have the very best range of hand washing basins on offer in the UK..
Wash basins come in a large variety of shapes, sizes and materials. 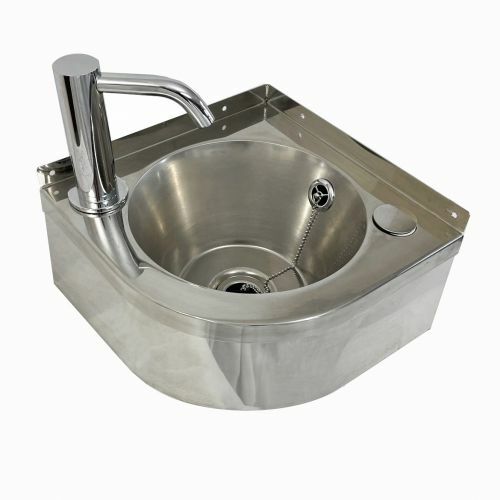 Our smaller, compact models are ideal for legislated hand hygiene in food preparation areas, whereas our larger wash basins are more suited to public and commercial washrooms. 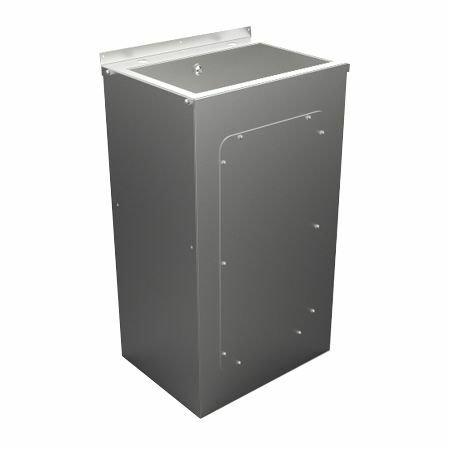 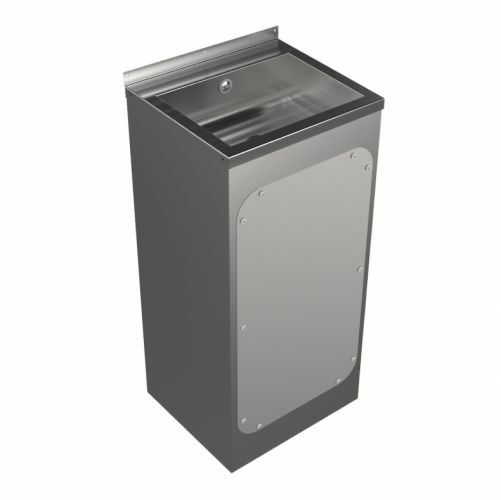 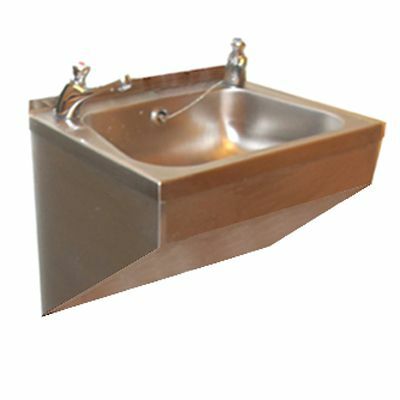 We supply shrouded, wall-mounted or floor standing models, and even corner sinks for maximum space saving in smaller properties. 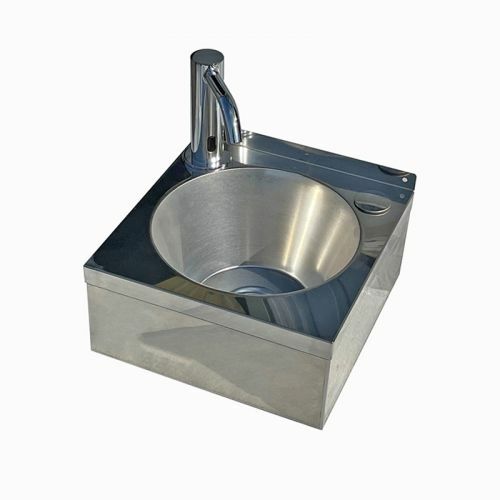 Our hand washing basins are manufactured from hard-wearing, durable materials such as stainless steel, or Armitage Shanks vitreous china. 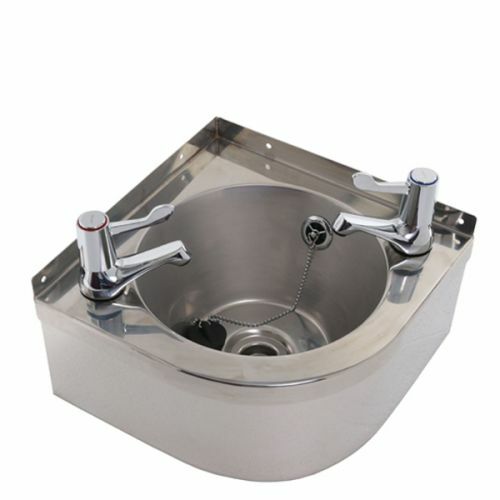 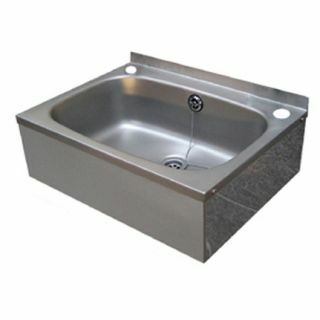 Stainless steel wash basins are by far our most vandal-resistant range, whereas the china basins are preferred by hospitals and beauty salons. 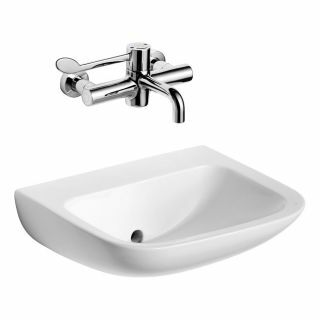 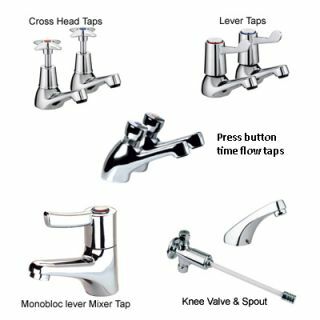 Each of our basins is available to buy with a range of accessories, including lever taps, sensor taps, and even knee operated taps for hands-free use, preventing cross contamination. 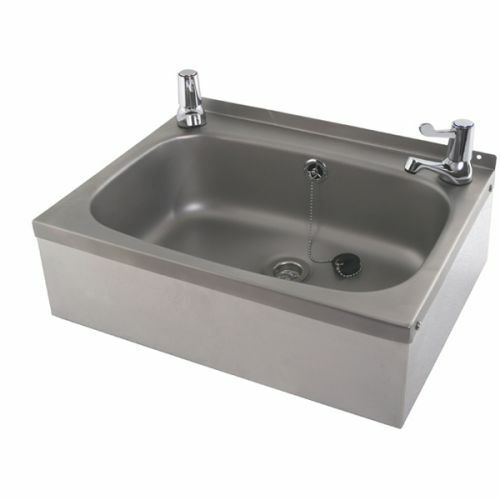 If you need a little help choosing the right sink for hand washing, and can’t decide whether to go for a stainless steel basin or the Armitage Shanks variety, then you can take a quick look at our handy buyer’s guide to sinks. 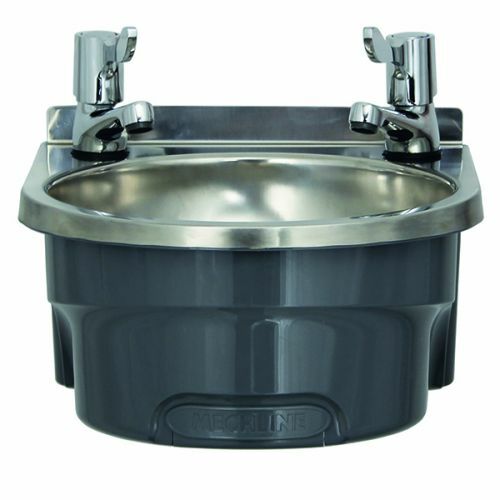 You might also need to refresh yourself of best practices in terms of the number of washbasins you’ll need- our up to date guide to washroom regulations has all the relevant information to help you plan properly. 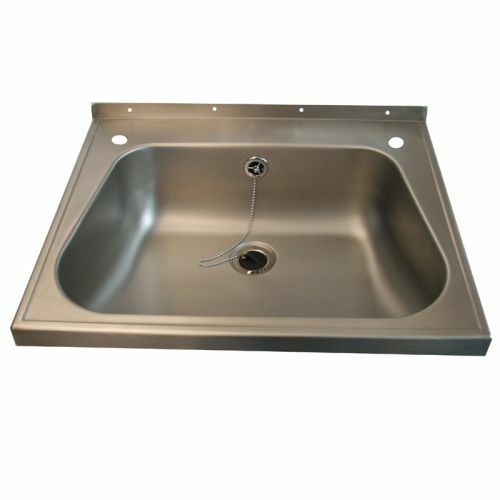 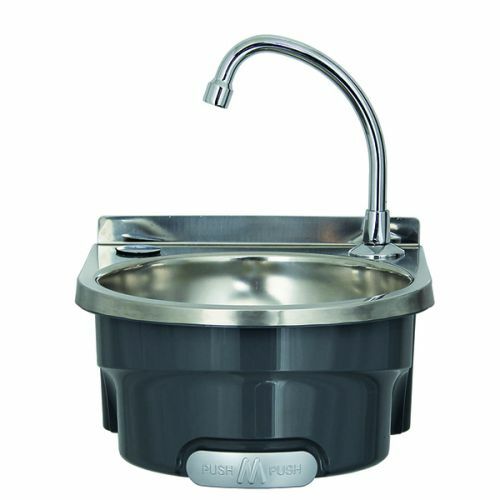 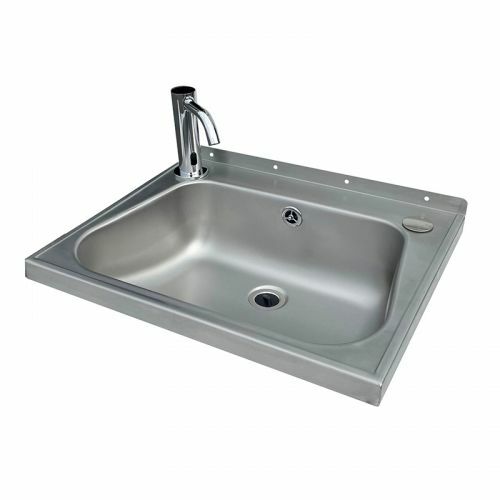 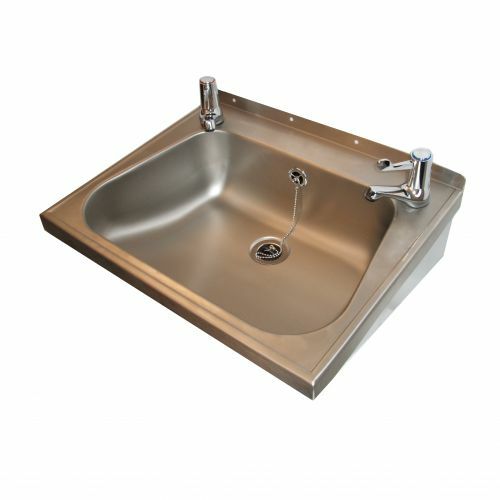 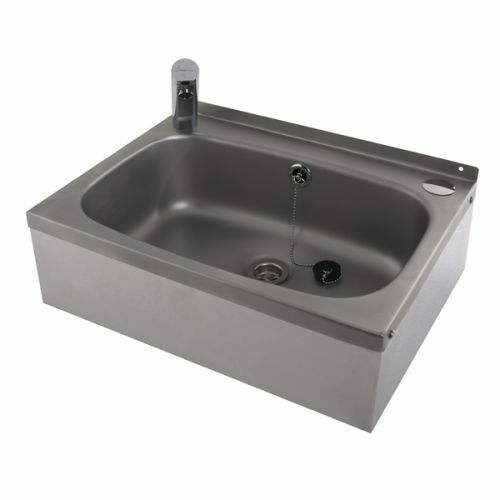 All of our metal wash basins and china wash basins come from UK suppliers, and we also keep a large stock in the UK, meaning we can deliver quickly, with minimal hassle. 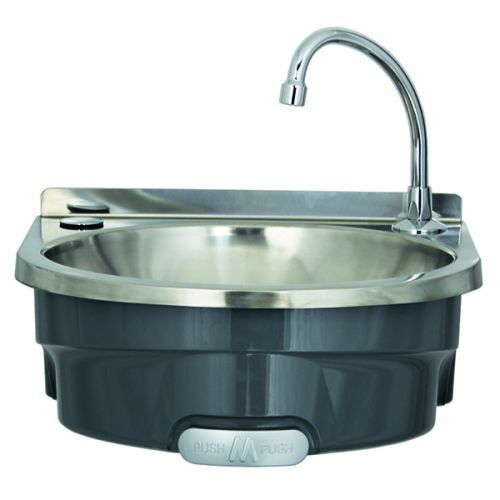 Our washbasins are available to buy directly online- simply click on any of the images on this page. 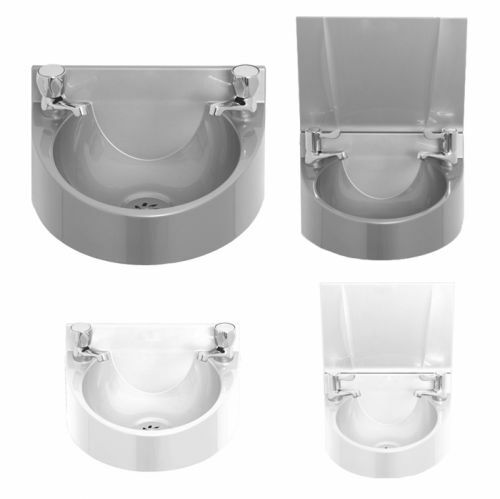 It’s quick and easy to do, with no hidden charges. 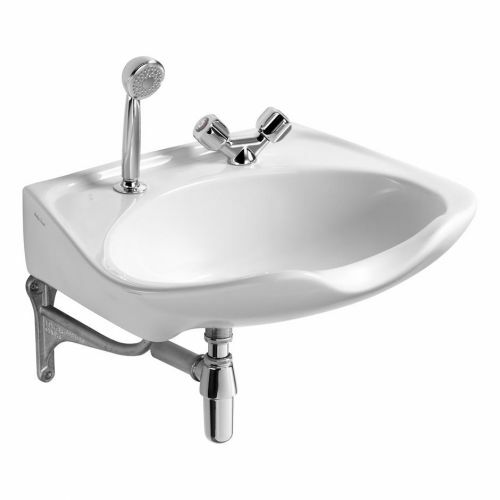 If you need a bit longer to decide, you can download our handwash basin brochure here, and don’t forget to contact our friendly team if you need any support with your purchase.